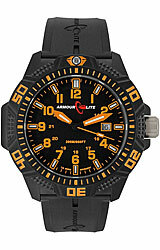 The Caliber Series from Armourlite is a lightweight tactical watch with everything you are looking for in a durable, dependable watch. 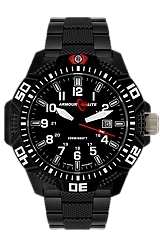 Several steps above the competition, the Caliber Series enjoys sitting in a class of it's own. 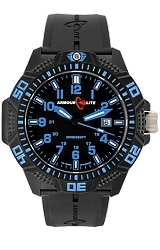 With features like a lightweight polycarbon case, full tritium Illumination, 200 meter water resistance and a genuine sapphire crystal, the Caliber Series is truly the best option in the military tritium watch segment.